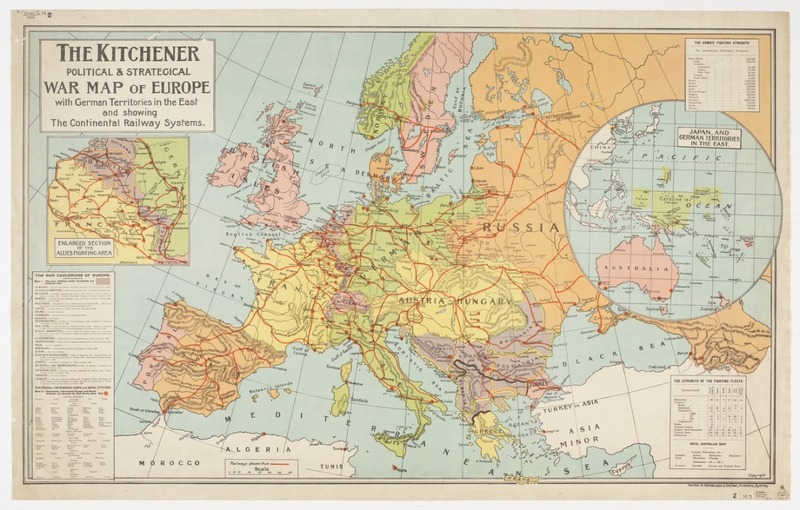 The Kitchener political and strategical war map of Europe with German Territories in the East and showing the Continental Railway Systems. This map was published in Sydney in 1914 and shows German territories in the east and enlarged section of the Allies fighting area as well as the fighting strength of the armies and navies, as well as infrastructure such as entrenched camps, naval stations and railways. On the 4th of August Germany invaded Belgium and Belgium and Britain declared war on Germany.